Are you scared of Bats and Robin? Today sees the launch of The Dark Knight Rises in UK and North American theatres, amongst others, and it's become a cultural phenomenon, dominating the thoughts of Batman geeks and film lovers alike. We figured that you'll see the word 'Batman' wherever you go, so we might as well wrap it up in our favourite metaphorical safety blanket: Nintendo games. Below's a little taste of some adventures that the Dark Knight has enjoyed on Nintendo systems. It's not a comprehensive list, because we'd be here all day trying to cover them all, and an honourable mention should go to Batman on NES, a retro action-platformer with The Caped Crusader that got a lot right. Batman has never been so portable and small. No, really, look at the video below, he's tiny. On the screen of the humble old Game Boy he looked like a cute crusader, and rather than beat enemies up he stunned them with a bat gun: this was probably more to do with the challenges of development, than an artistic choice. Gotham City may have peculiar floating blocks that Batman reaches with super-human jumping ability, but as our review makes clear, it was fun to play and had an awesome soundtrack. This SNES title from Konami kept it simple: walk to the right and pulverise any enemy that dares to cross your path. With strong similarities to Final Fight and the Streets of Rage series on SEGA Megadrive/Genesis, it was a brawler that had its fair share of basic, jump and grab attacks. An element that possibly let it down, perhaps as a result of limitations imposed by the movie it's based on, was that it was single player only. For mindless fun that makes you feel like a superhero, however, it sure did the trick. 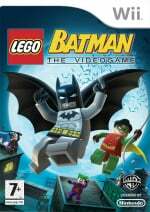 Quite a few of the biggest franchises in popular culture have received the LEGO treatment, so it was little surprise when Batman got involved in the act on Wii (and DS). 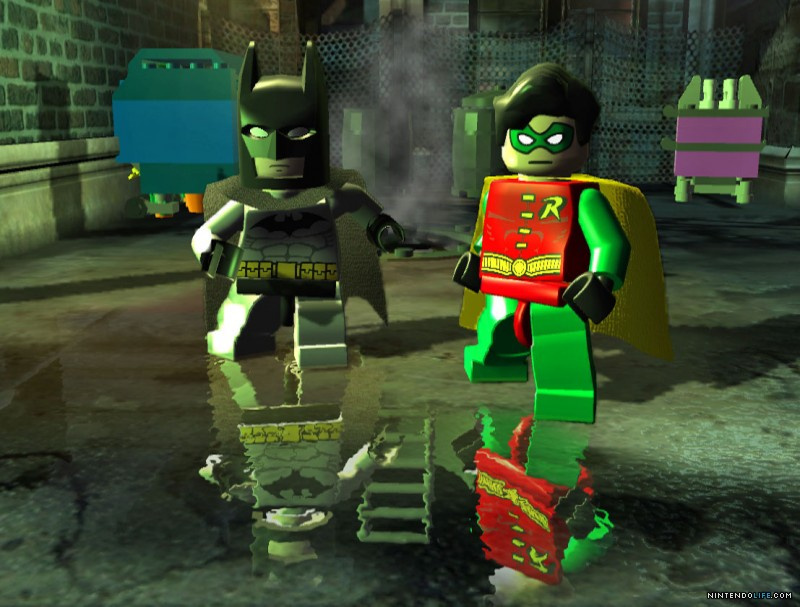 Alongside the standard LEGO fare of multiplayer, mashing attacks, jumping some platforming sections and solving some basic puzzles, Batman and trusty sidekick Robin had a variety of suits to give them special powers. Throw in an extra mode where you could actually play as the villains — be honest, it's fun playing as comic-book villains — and it was another solid entry in the series. Also released on Wii, we're going to focus on the DS entry released by WayForward Technologies, as it was an example of a licensed game that was also rather good. Taking its inspiration from the cartoon series of the time, Batman teamed up with a number of other DC superheroes to tackle the bad guys, and this entry had a greater emphasis on platforming than the more combat-heavy Wii title. As our Batman: The Brave and the Bold review explains, it wasn't merely a stripped-down version of the home console title, but had enough fun action and gorgeous sprite graphics to stand on its own feet. As you may notice in the video below, WayForward's 'smart bomb' may be a homage to the screen clearing 'test tube' special move from Batman Returns on SNES. In the last few years, unfortunately, Nintendo gamers have missed out on two high quality Batman titles from Rocksteady Studios: Batman: Arkham Asylum and Batman: Arkham City. These titles feature a moody, hi-def Batman with brutal take-downs and combat moves, a variety of stealth sections, item hunting and a number of boss fights, some of which can be a little fiddly to beat. They're critically acclaimed, in any case, and have been high-profile releases on Xbox 360 and PS3. Fear not, Bat fans, as the latter is coming to Wii U in a new edition: there'll be the Battle Armored Tech Mode for combat, various uses of the GamePad, as well as the promise that all of the DLC from the other systems will be included on the disc. Will it be as good on Wii U? We certainly hope so, and the extensive video, below, from E3 gives us cause for optimism. So there you have it, a selection of Batman's appearances on Nintendo systems, and another special mention goes to LEGO Batman 2: DC Super Heroes, the latest chance to be Batman. Let us know about your favourites below, and in the meantime various members of the Nintendo Life team will be digging out their darkest clothes, possibly capes as well, taking our voices down a few octaves and checking out the new movie; you might have heard of it. Another Nintendo appearance you forgot: he also made a cameo as the 472nd Pokémon. 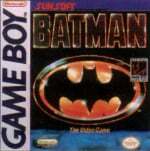 I love the Batman Game Boy game. batman on the snes was awesome. i prefered that over most of the games of the same style. I just woke up after seeing a Dark Knight trilogy marathon last night. They gave out posters and showed all three in a row. It was like watching an eight hour movie. I'd only seen the second before, but I barely remembered any of it. It was awesome. Brave and the Bold looks awesome, can't believe I missed that one. There have been a surprising number of good nintendo batmans. Gameboy one was great, and so was the NES one. I played the WiiU Arkham City demo and it's pretty awesome (though not any better than the other ones). I wish to add Batman: Return of the Joker (NES) and The Adventures of Batman & Robin (SNES) to the list. Both are great games and Return of the Joker is a technical achievement for the NES. I liked Brave and the Bold on Wii. Just wish I could have used the classic controller. Wiimote and nunchuck just felt off. I can't believe you guys missed Batman Return of the Joker and The Adventures of Batman and Robin on SNES those right there were two of the best Batman games around. Of course the best IMO not counting the Arkham games is Batman Returns on the SNES. To me that is the best movie based game ever. @GameCube Ah, Gliscor. Well, the anime did do a Batman parody with Gligarman before Gliscor was created (and much later the Mighty Accelguard). Sorry, but my favorite retro Batman game is the Genesis version of "The Adventures of Batman and Robin," which is a very good beat-'em-up based on Batman: The Animated Series. The only problem is the difficulty: I could never get anywhere near beating any of the bosses, not even in co-op play as the difficulty is scaled between solo and co-op play. Thankfully, it has a level skip code to avoid playing the same opening level over and over again. I agree with my fellow posters regarding The Adventures of Batman and Robin being one of the best Batman games ever. For a SNES game the animation was amazing and it was quite challenging. As of late, Arkham Asylum is IMO one of the best games this generation. Haven't picked up the sequel yet, as I may wait for the Wii U port. I'm surprised there's no mention of the NES version of Batman on this site. Until the release of the two Arkham games, that was the greatest Batman game ever. 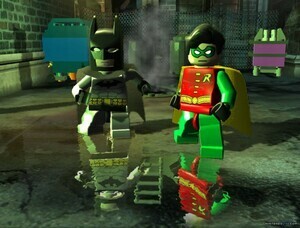 Lego Batman 2 is the best Lego game ever,will you review it please? Brave and the bold looks kind of repetitive, it doesn't look like one of WayForward's stronger efforts. But it seems everybody on here enjoyed it, so i maybe i really should check it out. Yet the only other Batman games I've played were the NES original which is my favorite, plus a bit of Batman Returns for the SNES. Oh and, the demo's for Batman: Arkham Asylum & Batman: Arkham City which I didn't care for whatsoever. Wait you can't even use the wii remote on it's side 'NES style' to play the game? I don't think i could bare using the analog stick, it never meshes well with sidescrollers. What a DraculaDowner bud! I don't think i could bare the using the analog stick, it never meshes well with sidescrollers. What a DraculaDowner bud! I just saw the movie and it was INCREDIBLE. 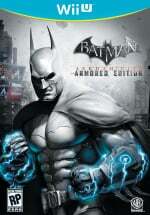 I can't wait for Arkham City Armored Edition for Wii U! !